If you are looking for that special winter getaway, Chile might be just the ticket. The Route of Parks trail spans across 1,740 miles from Puerto Montt all the way to Cape Horn. Sparked by the recent donation of 408,000 hectares of private conservation land by Tompkins Conservation, the Chilean government announced that it will convert 2 million hectares of conservation reserve land into national park land. 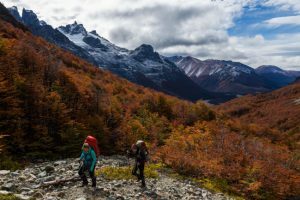 Combined with the Tomkins donation and existing national park property, the new Patagonian Route of Parks trail stitches together a network of national parks that occupy around 11.5 million hectares. Douglas and Kristine Tompkins made their fortune in outdoor apparel, founding both North Face and Esprit. They created Tomkins Conservation and began buying up land for conservation in the 1990s. Tomkins Conservation made the donation last year, following the accidental death of Douglas Tomkins kayaking the Patagonia in 2015. While I do not usually post about outdoor recreation, this story is different. The Patagonian Route of Parks not only created a trail for hikers and backpackers, but a vital corridor for wildlife. Fragmentation is second only to habitat loss as threats to rare plants and animals. In Wisconsin, this plays out as small prairie remnants nestled along old town road right-of-ways, railroad corridors and the forgotten corners of early graveyards. Minute micro habitats where a tiny number of native plants, as well as the insects and animals that depend on them, hang onto a tenuous existence. 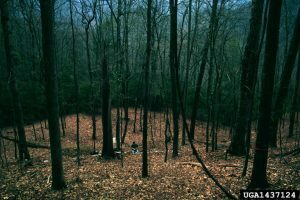 An increasing number of private landowners are deciding to manage part of all of their land for conservation. 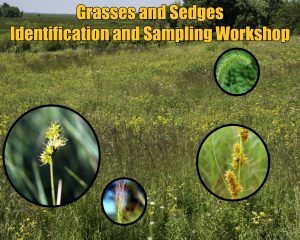 Small restored prairies are showing up in areas where once they dominated the landscape. Woodland owners are investing great effort to thin over-mature woodlands and clear invasive shrubs that a generation ago chocked out grasses and wildflowers. 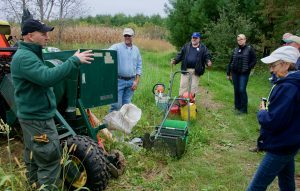 While the work and money these landowners are plowing back into their land is vital to conserve and protect Wisconsin, those efforts cannot by themselves same many of the species that are heading for a quite death. These islands of habitat need to be connected. Take for example the whirled milkweed. This tiny member of the milkweeds, grows barely a foot tall. It spreads through rhizomes into patches thirty feet or more across. 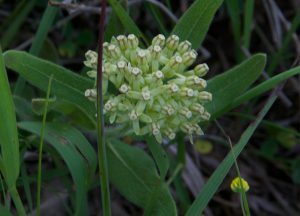 However, whirled milkweed does not self-pollinate. That means that pollen from stems in the same clone must be transported to flowers on a different clone in order to pollinate those flowers and produce seed. As farms and the equipment got bigger, fences were removed. Less productive land was also worked up for cultivation. 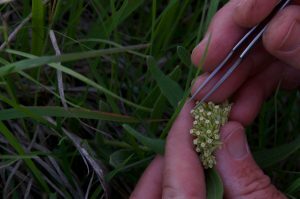 This reduced that places where the Whirled milkweed could grow.It also isolated the few remaining populations that had been hanging on. These plants can live for thirty years of more. However, without cross pollination, the few remaining plants will eventually die without producing seed for new generations. The solution to the problem is obvious, we need to connect fragmented islands of habitat. These do not need government to set aside vast expanses of public land to make that happen. As private landowners, we can work together to protect our natural heritage. Working together, neighbor to neighbor, we can make a difference. Maintaining our outdoor traditions means ensuring we have a strong habitat where wildlife can survive long-term. This is called resilience, which comes from keeping as many pieces of the puzzle as we can. So what can you do? None of us are billionaires who can purchase hundreds of thousands of acres. We can, however, walk next door and talk to with the folks who live around us. That marsh stretching a half mile south across the next two properties is more valuable for waterfowl if you work with your neighbors. Together, we cans share equipment, labor and knowledge to increase the impact our conservation work has. 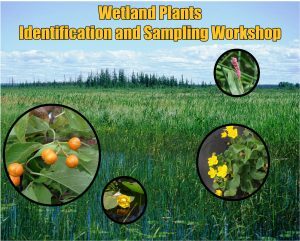 This is especially important when taking on tough invasive species like buckthorn, garlic mustard or phragmites. Increasing waterfowl production will be much easier if you can get those two neighbors upstream to work with you. 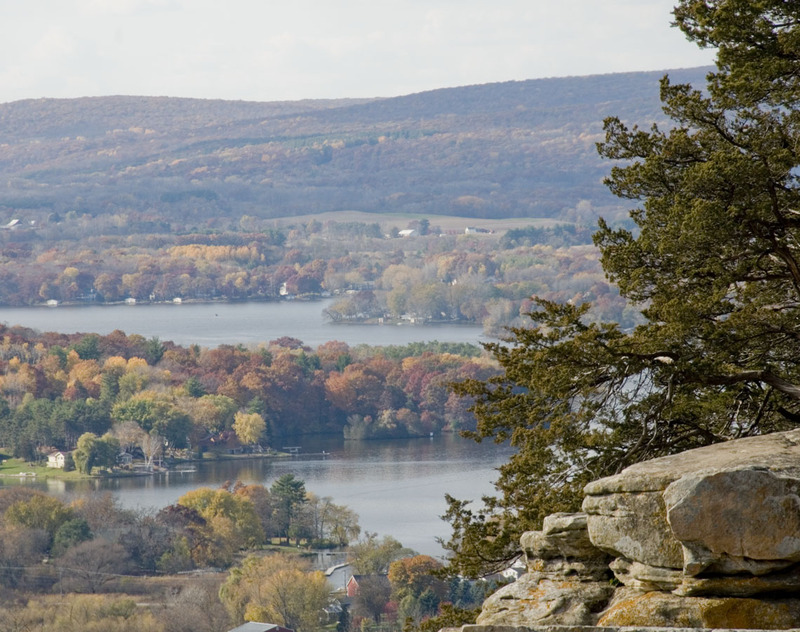 Restoring and maintaining the natural heritage of our state is too big for individual landowners to fix. Government cannot maintain the land it owns, so they can only be very limited partners. Neighbor-to-neighbor, is the only way we get back the quail and ruffed grouse. Working with neighbors is the only way to ensure our woodland remain clear of buckthorn and garlic mustard. A shared vision is the best way to return waterfowl production to that marsh seemingly lost to cattail and phragmites. It takes time to make these things happen, but there is no time like right now to go for a walk with your neighbor. Garlic mustard can be pulled or cut, as well. Plants need to be bagged and removed as they produce allopathic chemicals that will continue to suppress native plants if the dead garlic mustard is left not he ground. The other reason for bagging and removing garlic mustard is that plants that have flowered will use their remaining nutrients to produce mature seed even after the plant is pulled. 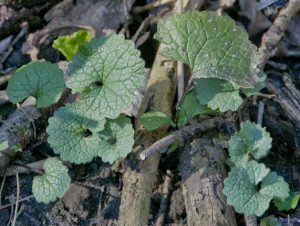 Folks who live in southeastern Wisconsin can participate in 2017 Garlic Mustard Pull-A-thon. 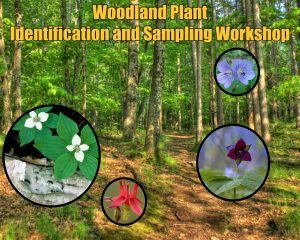 Sponsored by the Southeastern Wisconsin Invasive Species Consortium, Inc. (SEWISC), it is an annual fundraiser event, that encourages youth and adults throughout southeastern Wisconsin to protect their woodlands by pulling this invasive plant. 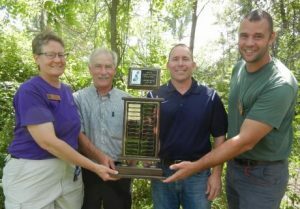 The goal this year is to pull 10,000 pounds and raise essential funds for the fight against invasive species! Head to the Wisconsin DNR website for more information about controlling garlic mustard. My favorite method to control garlic mustard is with prescribed fire. Not only does it kill the weeds and their seed in the soil, it stimulates fire adapted native plant seeds to germinate. 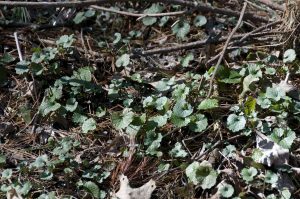 Not only will the fire control garlic mustard, but it suppresses the invasive shrubs that have degraded so much of our woodlands in Wisconsin. Unfortunately, you must have a trained and well equipped which most private landowners find too difficult to find or expensive to afford. Garlic mustard also often grows in areas that lack enough ground fuel to carry fire through the weed patches. 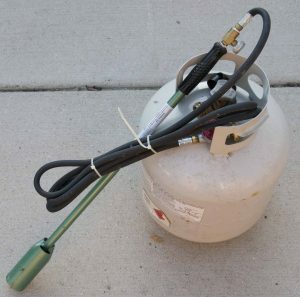 Propane weed torch shown here without pressure its pressure regulator. For those who refuse to use herbicide to kill garlic mustard and other invasive plants, there is the weed torch. It uses propane flame to kill young garlic mustard plants. Early spring is also a good time for this method as desirable plants are less likely to be burned. The cost of a torch rig is around $200.00, which is quite a bit of money considering its limited usefulness. The torch assembly is also difficult to transport. Some people strap the bottle to a backpack frame, but I am not comfortable with that arrangement. Others use a two wheel cart that can be difficult to navigate of narrow trails and steep slopes. 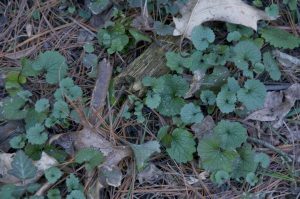 This week is your chance to Roundup garlic mustard before spring wildflowers start to appear. This invasive plant from Europe forms dense mats in woodlands and along edges that poison the soil crowd out spring wildflowers. Early spring is a great time of year to get ahead of this serious invasive pest. Plants are small and more easily killed by herbicide. 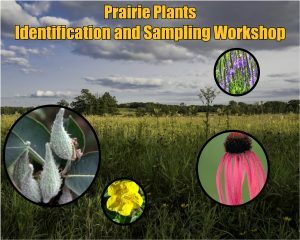 Native plants are still dormant and will be for a couple more weeks. Roundup (glyphosate) is a non-selective herbicide which means that any plant that gets sprayed will die or be seriously injured. It breaks down in sunlight and the soil within two weeks. This means spring wildflowers that sprout in late April and early may will not be hurt. To be fully effective, glyphosate must spend enough time on the leaves to be absorbed. Make sure that leaves are dry and that there is no rain forecast for twelve hours after spraying. This gives the herbicide time to get transported from the leaves down into the roots where it does kills the plant. Follow label directions, typically a 3-5% solution depending the formulation of glyphosate. In this case more is not better; it simply wastes money. Leaves will only absorb so much and the rest breaks down in the soil as the plant dies. Likewise, only spray leaves to the point of runoff; again the rest is wasted money. As always, there may be some desirable plants nearby that have already sprouted or are likely to appear in the coming days, so only spray areas where garlic mustard is actively growing. New garlic mustard plants may sprout later in the season, but since it is a biennial they will not bloom or set seed until next year. My favorite method to control garlic mustard is with prescribed fire. Not only does it kill the weeds and their seed in the soil, it stimulates fire adapted native plant seeds to germinate. 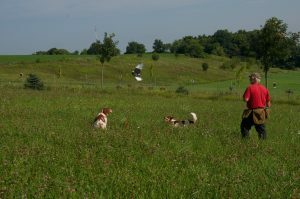 Unfortunately, you must have a trained and well equipped which most private landowners find too difficult to find or expensive to afford. Garlic mustard also often grows in areas that lack enough ground fuel to carry fire through the weed patches.